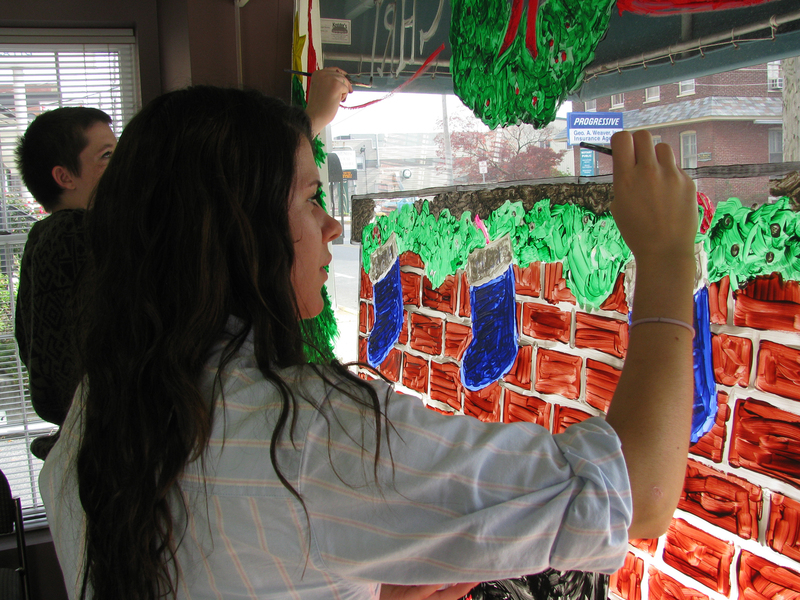 Garden Spot High School students kick off the Sixth annual Christmas on Main event by painting holiday images on store windows in downtown New Holland. 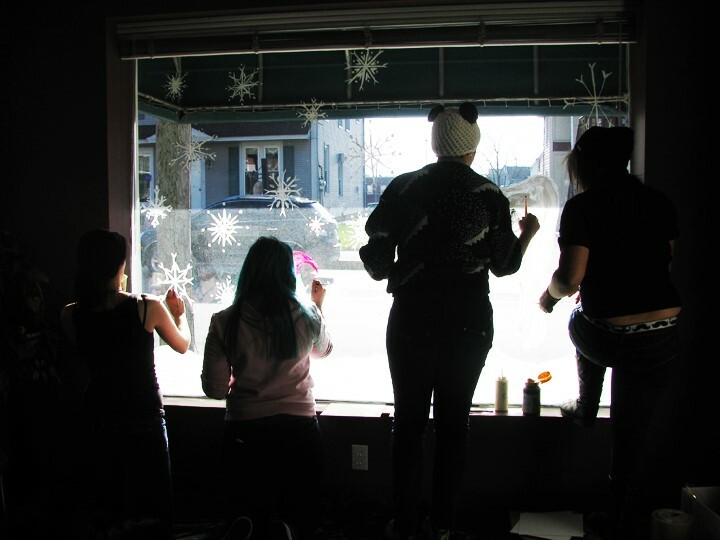 On Saturday, November 23rd, students, Monica Newswanger, Zelia Witwer and Victoria Giurbino met downtown to paint creative holiday scenes on business windows. Millersville student art teacher, Lindsey Martin, also joined the students to paint the windows. The students began the day by painting a snowy scene with “tooth” elves and Santa on Dr. Georgelis’ Orthodontist office window. 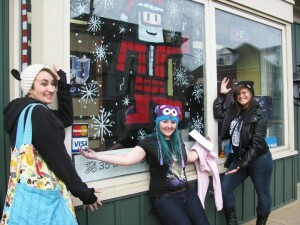 Next, the girls painted a computer image of Santa on the window of the Fix My Computer business located in the Kaufmann building. 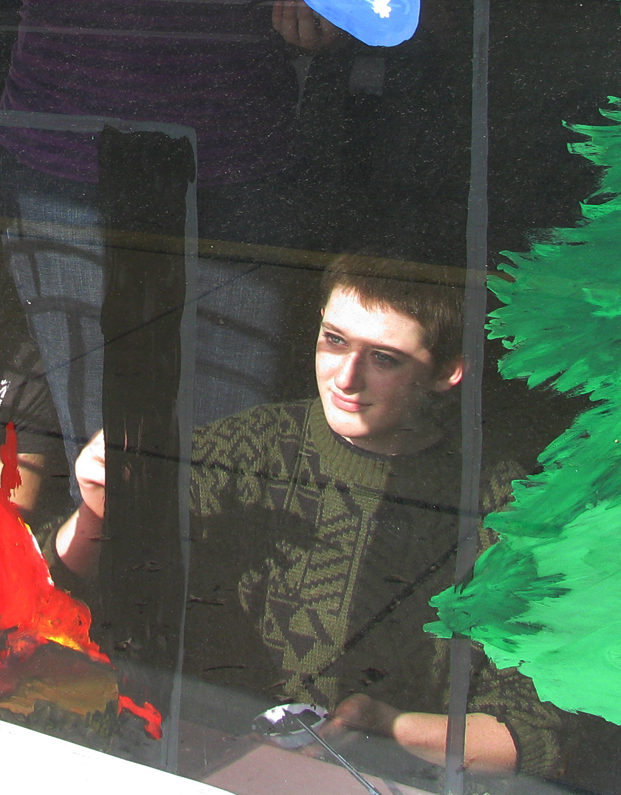 This year Christmas on Main will be held on Saturday, December 7, 2013. The event is sponsored by the New Holland Business Association. 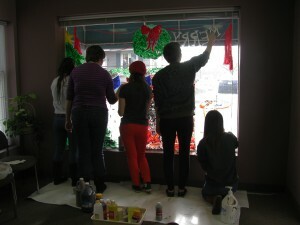 Check out the highlights of the day by visiting their homepage: christmasonmain.com. 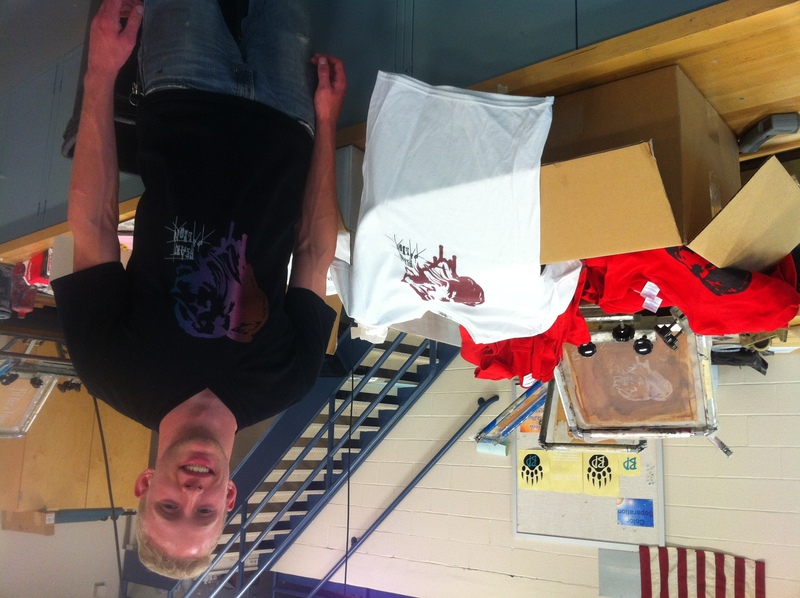 Austin Haas, a senior in Mr. Stitzer’s Graphic Communications class chose to design a screen printing project not for himself, but one that would benefit a classmate. 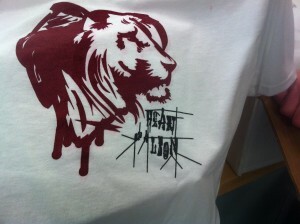 Austin designed an original lion graphic and created unique text that reads “Heart of a Lion” dedicated to friend, classmate and fellow teammate Mike Kelly, who was recently diagnosed with a heart condition preventing him from continuing his athletic pursuits. 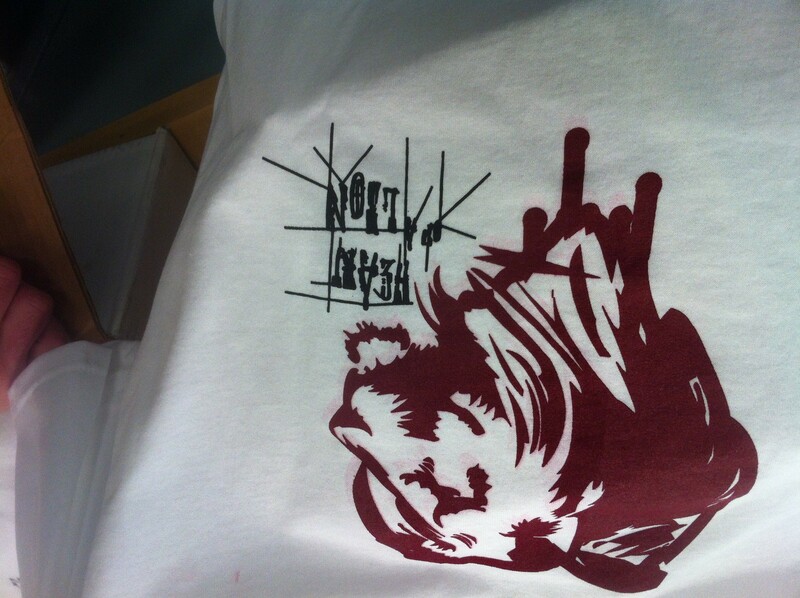 Austin’s idea was to design, market and print t-shirts in class and on his own time and donate all proceeds to Mike Kelly. 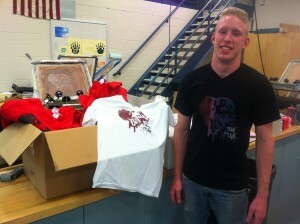 To date Austin has pre-sold and printed over 150 shirts for the cause. Shannon O’Malley, Congressional Art Show Runner Up! Shannon O’Malley, senior, was chosen as one of three-runner up winners in this year’s Congressional Art Show! The Congressional Art Show, hosted by Congressman Joseph Pitts, will be on display at Garden Spot Village through the month of May. A reception for all participating students was held on Friday, May 3, 2013, at which time, the winners were announced. All students were awarded a Congressional Art Certificate for being chosen by their teachers to compete in the show. 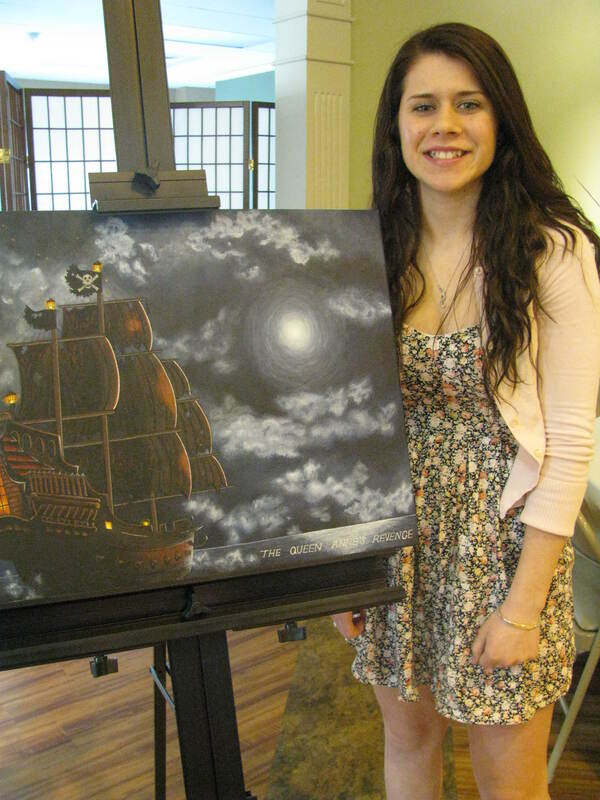 Shannon’s winning entry was a painting entitled, The Queen Anne’s Revenge. She completed her painting as an independent study student in the Two Dimensional Drawing and Painting class. Over the course of her high school years, Shannon has taken all of the art classes offered at Garden Spot. Her winning entry will hang for a full year in one of Congressman Pitts’ offices located in Washington, D.C., Lancaster or West Chester. 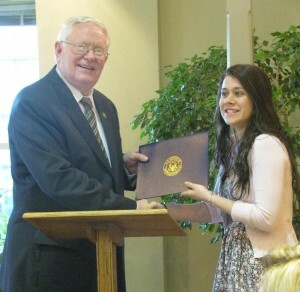 Eleven students from Garden Spot High School were selected by their teachers to participate in the 2013 Congressional Art Competition sponsored by Congressman Joseph Pitts, 16th District of Pennsylvania. Their artwork and photography will be on display at Garden Spot Village, beginning May 6th and will continue through the entire month of May. One overall winning piece will be selected to hang in the Cannon tunnel to the United States Capitol building in Washington, D.C. Three runner up winners will also have their work displayed in the offices of Congressman Pitts. All of the students’ entries are included in the slideshow below. The Clay and 3D Design classes are once again participating in the Empty Bowls project, hosted by former student Kevin Lehman’s studio. The combined classes created and donated at total of 47 bowls. The bowls will be offered to anyone attending the Empty Bowls dinner. 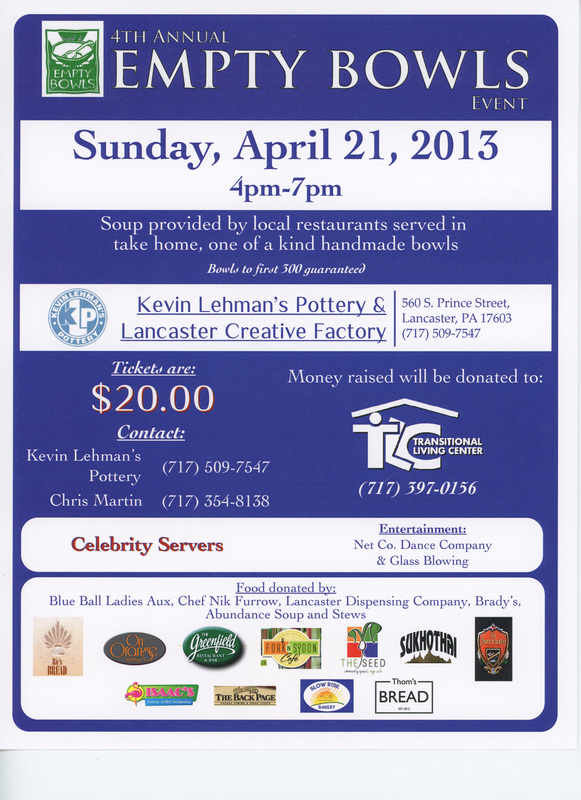 The event this year benefits the Transitional Living Center of Lancaster. Congratulations to Hannah Faber and Joel Hoover! 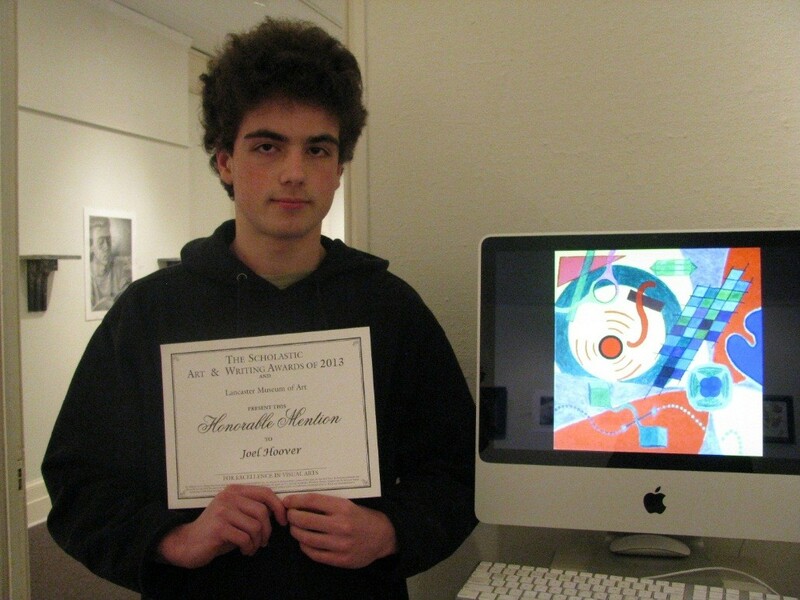 Hannah and Joel won “Honorable Mention” recognition in the 2013 Scholastic Art Awards for the Lancaster County Region. 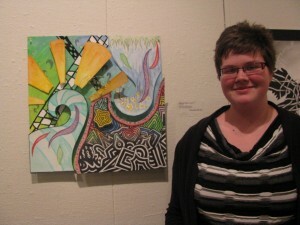 The show opened with a reception on Friday, March 1st, at the Lancaster Museum of Art. Students from all over Lancaster County attended the opening to receive their awards. 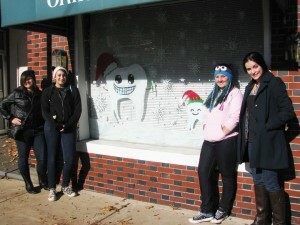 Garden Spot students kick off the fifth annual Christmas on Main event by painting holiday images on store windows in downtown New Holland. On Saturday, November 10th, students, Ella Bergdoll-Oberhammer, Nga Do, Hannah Faber, Gina Heywood, and Shannon O’Malley met downtown to paint creative holiday scenes on two business windows. The students began the day by painting a warm fireplace scene on Dr. Georgelis’ Orthodontist office window. 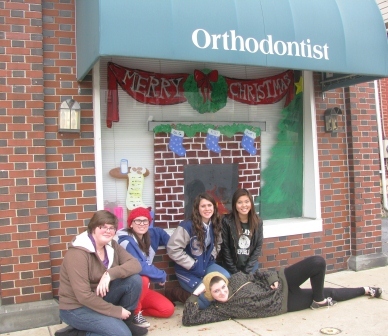 Next, the girls painted a computer screen image complete with sleigh and reindeer on the window of Fix My Computer business located in the Kaufmann building. 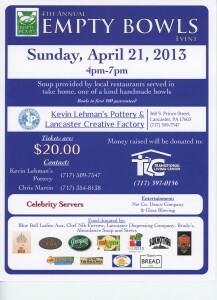 event is sponsored by the New Holland Business Association.